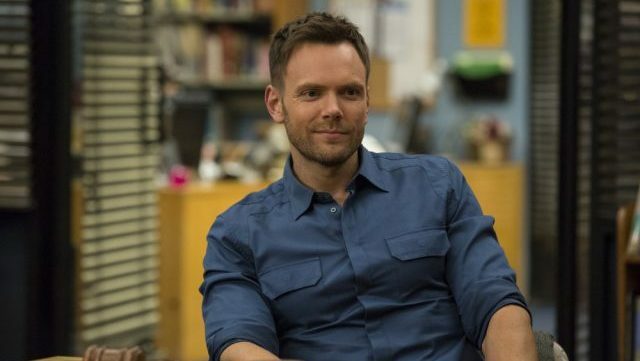 Series alum Timothy Omundson took to Instagram to reveal that Community actor Joel McHale has been tapped for a guest-starring role in USA Network’s upcoming TV film Psych: The Movie 2. Details on Mchale’s character are currently being kept under wraps but it is being described as a mysterious character from Lassie’s past. In addition, Westworld‘s Jimmi Simpson posted a video on his Twitter, officially confirming that he is set to reprise his role as Mary Lightly for the sequel. McHale is best known for his role as Jeff Winger in the sitcom Community starring alongside Golden Globe-nominated actress Alison Brie (GLOW), Emmy winner Donald Glover (Atlanta), and Ken Jeong (The Hangover). He will next be seen in DC Universe’s forthcoming Stargirl starring as Sylvester Pemberton/Starman. The series, created by Steve Franks and starring James Roday (A Million Little Things) as fake psychic Shawn Spencer and Dulé Hill (Suits) as best friend/crime-solving partner Burton “Gus” Guster, debuted in 2006 and ran for eight seasons until 2014, proving to be a ratings and critical hit through its run and amassing a cult following both during its run and following the series finale. Once the original show wrapped, Franks hoped to continue the story in film form and got to do so with 2017’s Psych: The Movie, which received generally positive reviews from critics and audiences alike and received ratings better than many of the show’s episodes. Franks had planned five more films to follow the first and thanks to its success, USA has greenlit a sequel with all of the characters reprising their roles from the original series and is set to premiere later this year. The film will follow the original duo alongside Kristen Nelson’s Chief Karen Vick, Maggie Lawson (Lethal Weapon)’s Juliet O’Hara and Corbin Bernsen (The Punisher)’s Henry Spencer as they travel back to hometown Santa Barbara to help find the criminal who shot and almost killed Carlton “Lassie” Lassiter (Timothy Omundson, Supernatural). But despite their successful history in the town, Shawn and Gus find themselves unwelcome in trying to solve the case with the local police and without the help of their loved ones or their favorite bakeries and could possibly discover things that affect their relationship. Franks will return to direct the sequel from a script he co-wrote with Roday and will be produced by Universal Content Productions and Thruline Entertainment, as well as executive produced by Franks, Roday, Hill and Chris Henze.